Orange County fire officials say that the doctor’s act saved the child’s life. The girl was crying and alert when paramedics arrived at the scene. Officials also said the girl was unsupervised during the party. She was transported to Children’s Hospital of Orange County for observation. This incident is the 79th near drowning incident in Orange County this year. Officials say 27 of those incidents were fatal. A majority of the incidents involved children and occurred between 5 p.m. and 6:45 p.m. because that is usually the time of day when children continue to play in the water and adults become distracted with other things, according to officials. It is indeed fortunate that this little girl survived the near drowning, thanks to the doctor’s heroic and timely rescue. We wish her the very best for a speedy and complete recovery. With good weather year-round, Orange County is often the scene of tragic swimming pool accidents. Be it the summer time or Christmas, Orange County residents host pool parties and enjoy their backyards throughout the year. While that is a good thing, it’s also why we see more swimming pool deaths and fatalities compared to other parts of the nation. The important thing to remember here is that swimming pool accidents are preventable. In this particular case in Tustin, officials say the child was not supervised. 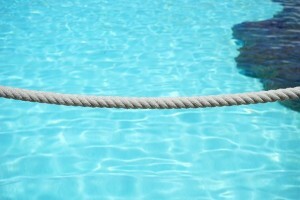 More often than not, that is the primary cause of swimming pool accidents involving young children. Kids can slip underwater within a matter of seconds and taking your eye and attention away from the water even momentarily can prove tragic. If you have a swimming pool in your backyard and are hosting a gathering, it would be worth your while to hire a lifeguard for your pool party. If you don’t have a lifeguard, make sure children are supervised when they are in the water. Parents or caregivers should not be talking, reading, or looking at their cell phones when children are in the water. They should remain vigilant at all times. That is really one of the most effective ways to prevent a tragic swimming pool accident.